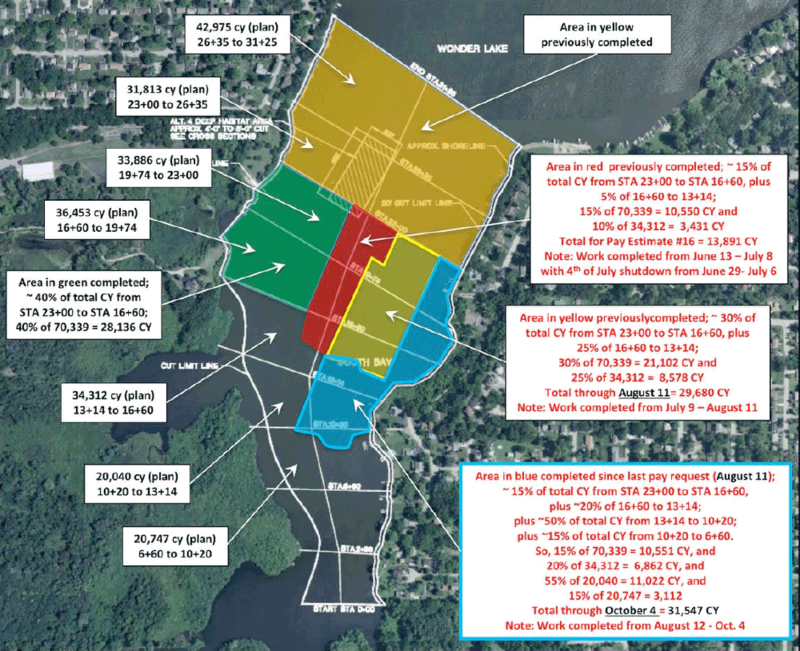 The dredging contract payouts are based strictly on a cubic yard volume basis, which to date have been based on GPS mapping conducted from the dredge, and reviewed by the MPOA dredging consultant. In addition, a post-dredging survey is required to be conducted by a specialized surveyor as part of the contract with the MPOA. The surveyor was out in early October to begin measuring and documenting the actual dredging volumes achieved to date. The dredging contractor relocated to O’Brien Shoals (OBS) in early October to attempt additional dredging of OBS areas previously found to be comprised of rocky cobble. 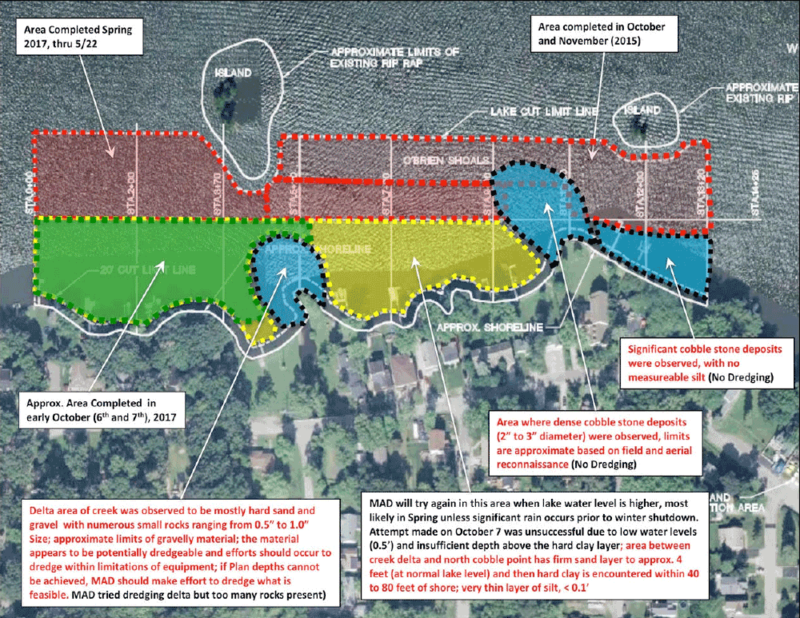 They were able to complete much of the remaining OBS area under contract, located south of where Troy Creek flows into the lake (shown in green). Dredge access to the “middle” shoreline area at OBS (shown in yellow) was limited to the lake being low from the recent dry spell, but will be re-attempted when water levels come back up. At this time, it is still uncertain as to what will happen to the rocky areas shown in blue. All MPOA buoys have been removed for the season. Late season boaters will need to use caution when operating near known shallow water areas, as well as anywhere in proximity of the dredge and sediment pipeline. The annual inspection of the Wonder Lake Dam, and the Wonder Lake SDF, conducted by the MPOA consulting engineers, will be conducted on Friday, October 13th.